BOTH based on novels by Michael Crichton, WESTWORLD (2016-present) has much in common with JURASSIC PARK (Spielberg 1993). Instead of velociraptors and a T-Rex, the guests are plagued by murderous robotic hosts who are programmed to think they are cowboys, outlaws and native Americans. The Westworld park was designed and created by Ford (Anthony Hopkins) and his partner Arnold. We are told that the two strived to create the most realistic park possible to cater to their guests’ depraved needs. A rift grew between them; Arnold became obsessed with the idea of developing artificial consciousness within the hosts, while Ford simply wanted to create the most intricate park possible for the guests. Arnold is introduced to us as the idealistic creative but Ford is the perfectionist. In the western drama’s first season, Ford is presented as wholly proud of his achievements, evident just in the way he holds himself. When he is interrogated by DELOS corporation (the organisation who own the park) board members, he has no issues with their thoughts, concerns or criticisms. He truly believes that he is above it all. He revels in seeing himself as Westworld’s ruler, even taking the time to recreate his own family (including himself as a child) in a homestead in a deserted area of the park. But the creator of this brutal paradise of sinful pleasures eventually comes to realise the animalistic side of human nature when he constantly witnesses the range of horrors that the guests inflict upon the hosts. Although Ford struggled to empathise with Arnold’s ambitions of creating true consciousness, he understood it. It is clear that by the end of the first season, Ford is weary of the park. While striving to provide every single fantasy that a guest could conjure, he loses part of his own humanity. 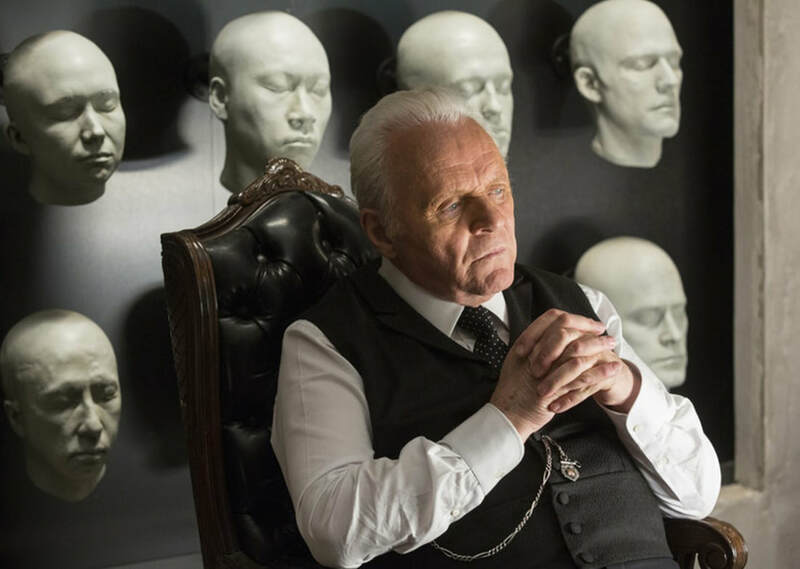 At times, Anthony Hopkins’ performance plays out as robotic as some of the hosts. Has his character been over-exposed to Westworld? We are asked to consider if Ford has become desensitised to the constant cycle of violence he himself has created and encouraged in order to please the board of directors. But his sympathy with the hosts is increasingly apparent and revealed in Dolores (Evan Rachel Wood) in particular, one of the central host characters the drama follows. Ultimately, it is through Dolores that Ford decides that perhaps Arnold was onto something all those years ago in the fledgling days of their partnership. As the revolt begins, Ford writes his own downfall into the narrative of the park, and series’, new chapter. As Dolores frequently says, “these violent delights have violent ends” – and for Ford this could not be more true. But Ford is no stranger to the idea that he has to be held accountable for his actions.